It’s my children’s school cake sale today – make any cakes you want – donate them and they spend the proceeds in the school. Sounds easy…….. 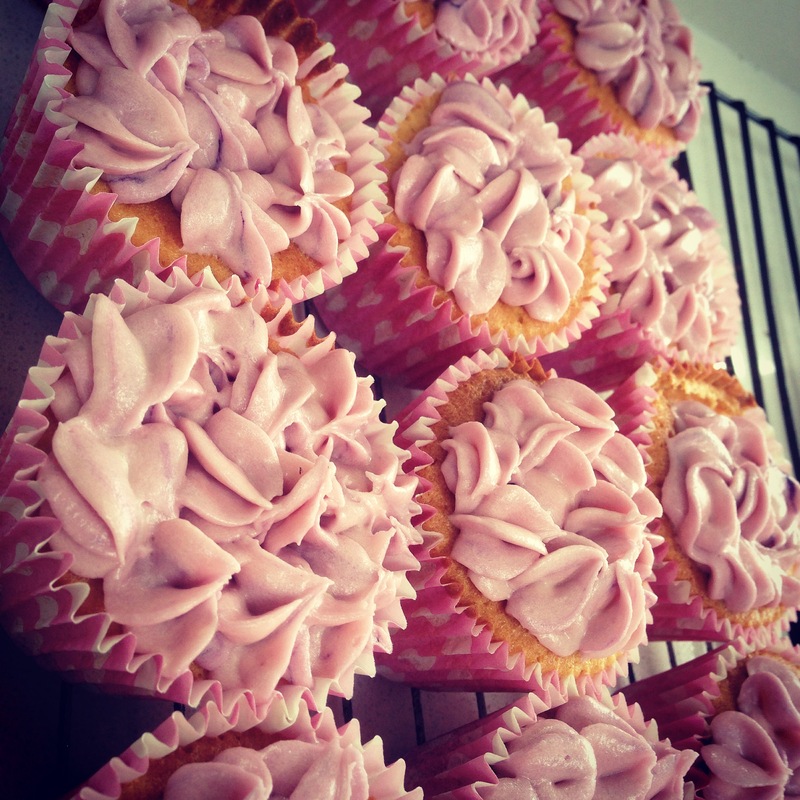 I usually make what I call a standard cupcake – iced with butter icing (or frosting to some), and made to look a bit pretty. 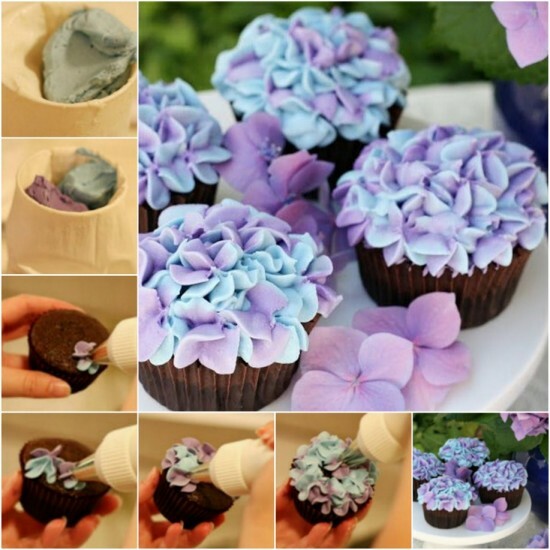 This time – after looking at The Whoot and Glorious Treats they had these fantastic Hydrangea looking cupcakes (see below – these are theirs – not mine) – so I thought – hey – why not give those a go! 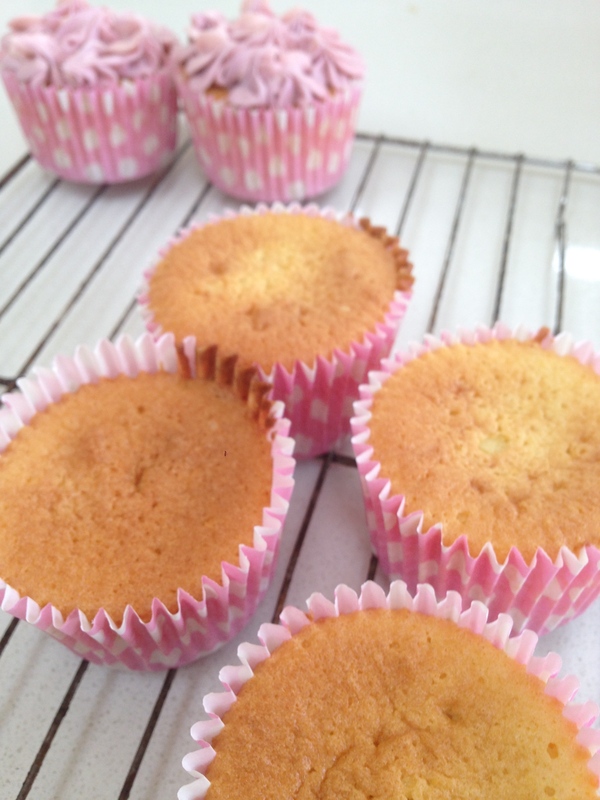 Kitchenaid at the ready, I made my basic cupcake mix – a one bowl mix as I can’t be bothered with creaming etc! 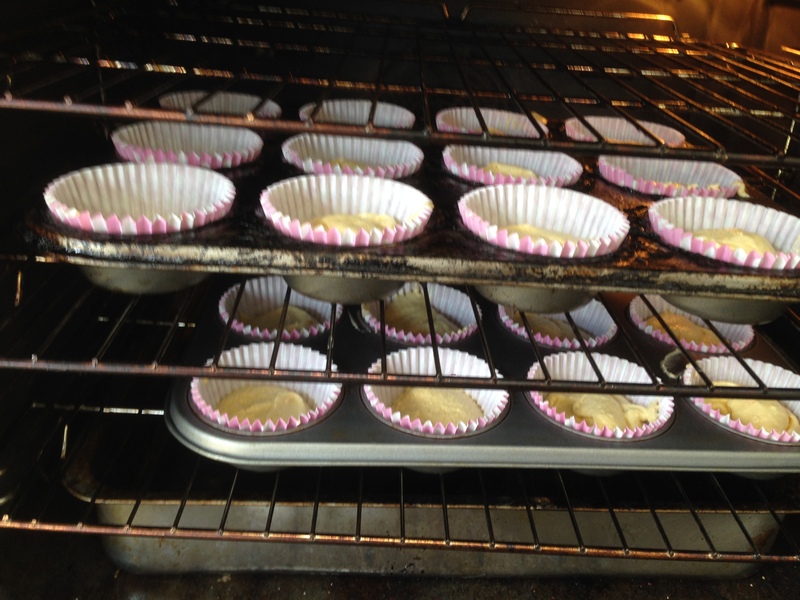 Heat the oven to 170 degrees C (it’s a fan oven), and 24 cake cases filled later…. 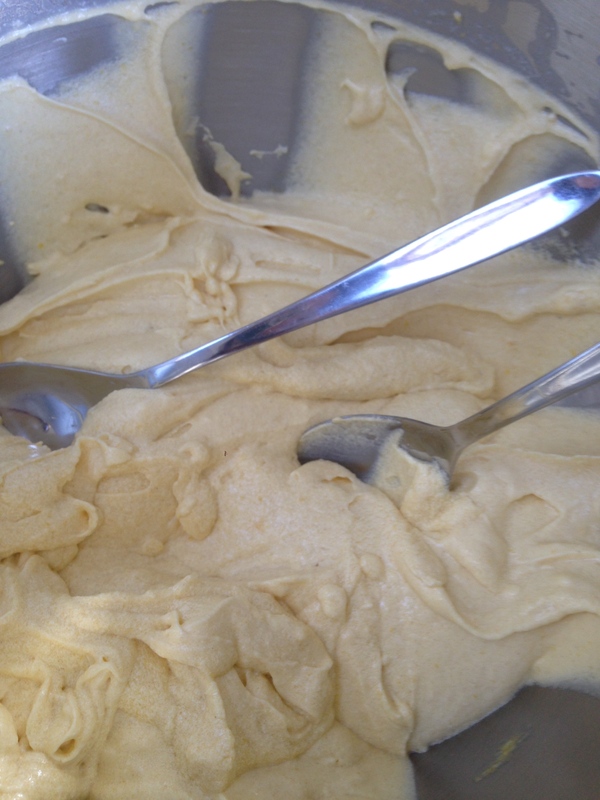 About 25-28 minutes later and ……..
For the icing – a spoon of butter, loads of icing sugar, lemon juice and milk until it looks right (sorry – not very helpful at all!). 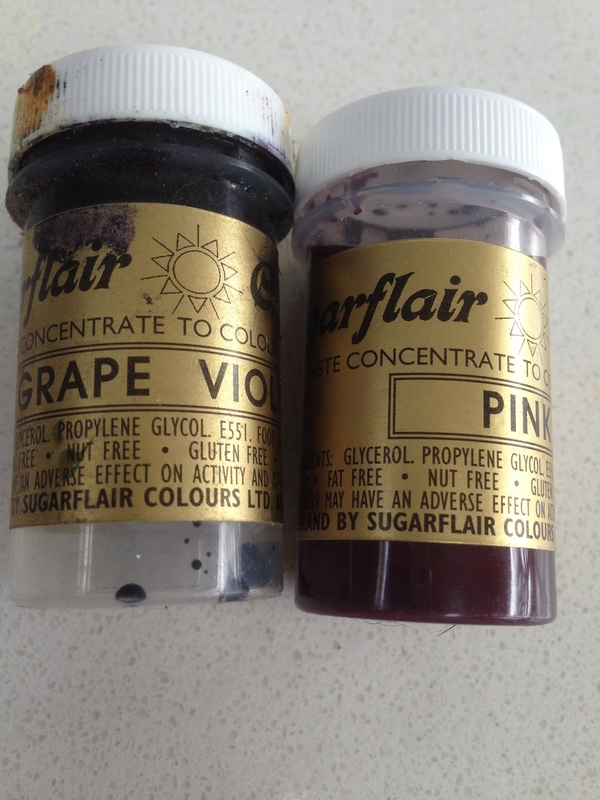 The I used these colours – you only need a tiny amount – the end of a skewer or each – and then I didn’t fully mix it all together to get the right effect. Pipe using a star nozzle – pretty little flowers around on the top of the cake! 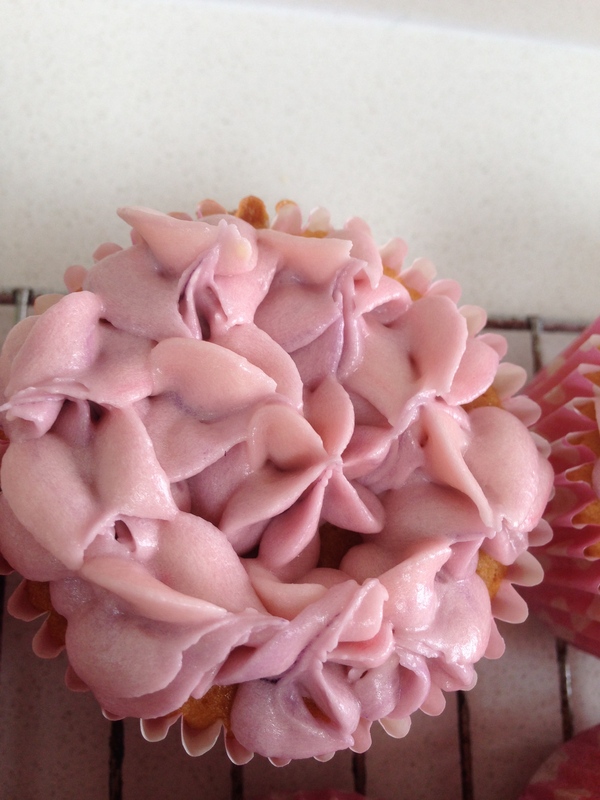 In hindsight – I think I over mixed my colours and the icing was a little runny…. but they still tasted delicious! I hope they sell today! Soooooo how do you think they’d go mailed to Australia? Because they look delicious! Previous Post Chickens and eggs – which came first?